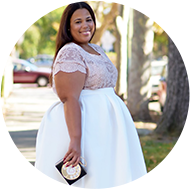 Ahhh…the bride who wants a themed dress: this is definitely one client that is hard to accommodate for any stylist, but a themed bridal gown is that much more difficult. When a person has a picture of how they would like to look, be it bridal or anything else, it can really difficult to turn that into reality since the stylist cannot be in the bride’s head. You will need a combination of factors to turn your dream into a reality. • Be open to accessories to complete your look. Everything is in the details, so adding a headpiece, sash, etc. that is inspired by your theme can help you to achieve your look. • Have an open mind to try on different types of looks. Instead of looking for a dress that looks exactly like, for instance, Cinderella’s dress, look for a dress with similar features. An exact replica of anything will be hard to find. • When buying that themed bridal dress, think about what will be flattering on you. 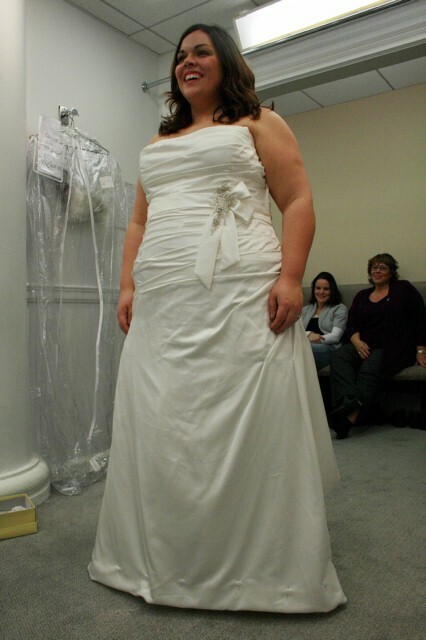 Sometimes the themed wedding dress may not be flattering on your body type. Don’t fret because variations exist in different cuts. Megan has been obsessed with being Cinderella and getting married at Disney. Disney-inspired bride Megan, wanted the Cinderella gown. The silhouette of the Cinderella gown would have not been flattering for her body type. It would have been too voluminous. 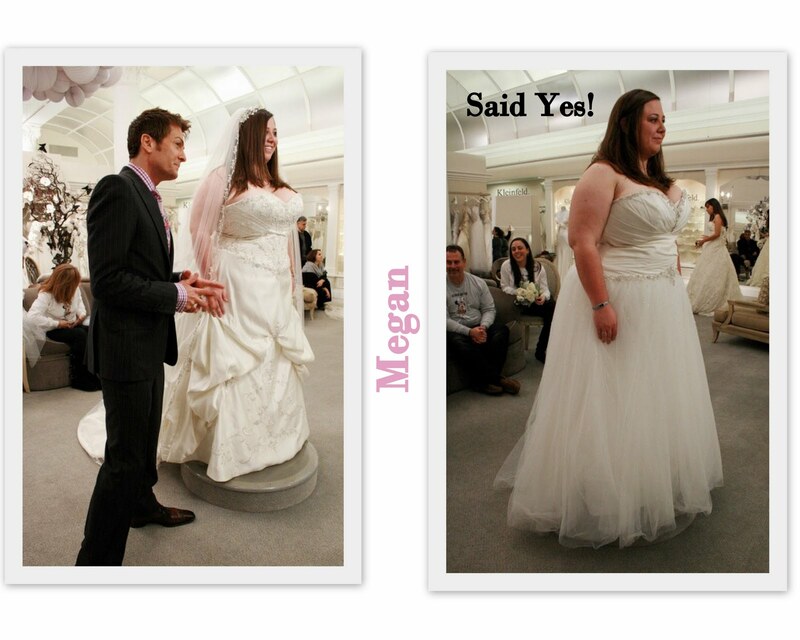 Megan found an inspired Cinderella gown that was a drop waist with fewer layers of tulle. I love that Megan was willing to get her dream gown, but made a choice flattering for her body type. Emille is a 40s pin up style bride who is having a Mexican 'Day of the Dead' themed wedding. Pin-up girl Emille really wanted a 40s inspired gown complete with lace and 40s glamour. 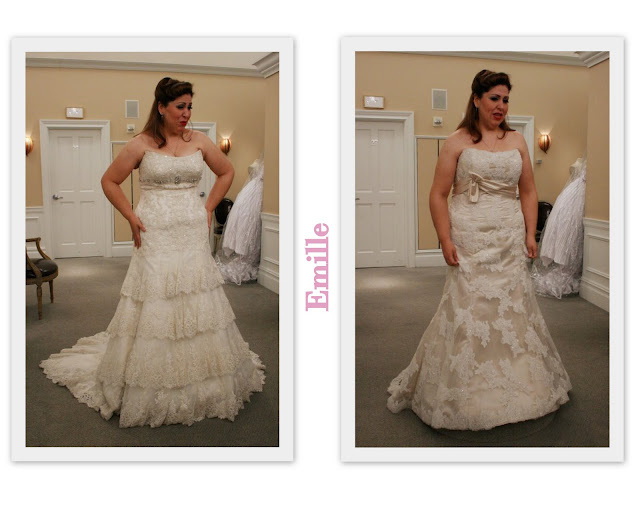 Emille really had the idea of what she wanted to look like and I think she accomplished it in the dress on the left. It seemed that she really loved the dress, but hated the way it revealed her stomach. I feel like Megan gave up on the dress way too soon. Her stomach was exposed in the dress, but you could barely see it. This tells me that if she had the right foundation or girdle on, she could make her stomach disappear. Ladies, it is so important that you have on your best girdle while you are searching for that perfect dress. It can, honestly, make or break your decision on a dress. For Emille, I would have recommended her to have on a high waist girdle with boning in the waist area. That would have smoothed out the stomach area and made all the difference. Emille didn’t leave Kleinfield with a dress that day. Victoria has lost sleep over whether she's made the right dress purchase. I am so sympathetic to Victoria. When you have purchased a dress that you have not seen for 9 months it can cause you to question your decision. “Did I buy the right dress?” It’s a question that rings in the minds of many brides, including myself. The best way to deal with this is to buy a dress that you love! Don’t settle for something you only semi-like. Another thing is once you have found that dress, all wedding dress shopping must cease. With a million bridal dresses out there you will always find something else you like, but why mess up the magic you had with the dress you decided on? I really have to wonder: Does this place only sell strapless dresses? They don't really look good on *everyone*. And I would posit that if Emille went with a REAL 1940's look, she might find something both flattering and comfortable. Instead of trying to dress like Jessica Rabbit, her shape would probably be more flattered with some balancing shoulder pads or cap sleeves would be more true to the era and go with her retro hairstyle much better. i thought emille looked amazing in the dresses she tried on were perfect for her theme, i think the real issue was her perspective of her body and aligning that with her expectations. it was sad.